- or is it a hospital? 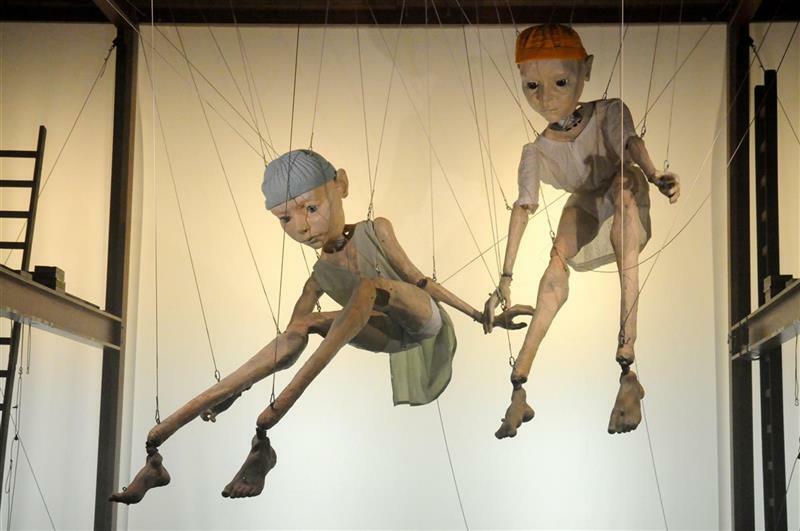 Les Soeurs is a visual and musical family performance in which two enormous puppets -two sisters- play a leading role. In a big and sophisticated installation a wordless play arises, circling around themes like vulnerability, (in)dependency and emotions. 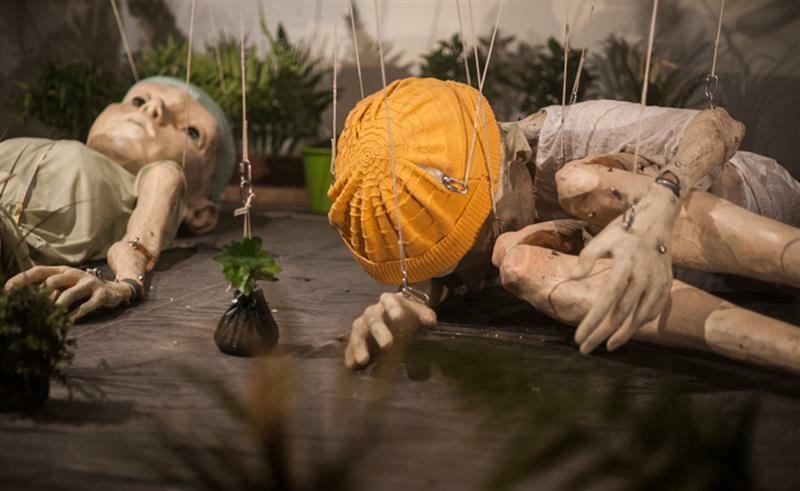 Together with the audience the puppets discover themselves, each other and the world around them. Who really pulls the strings? 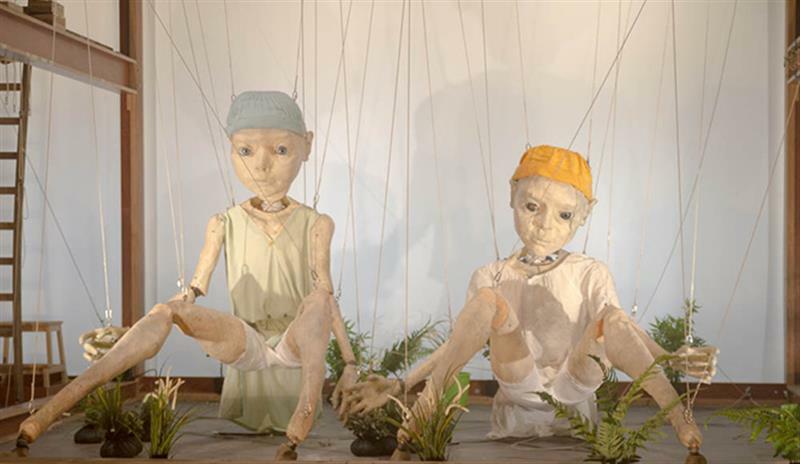 In Les Soeurs, the artists create a poetical universe between fantasy and reality. 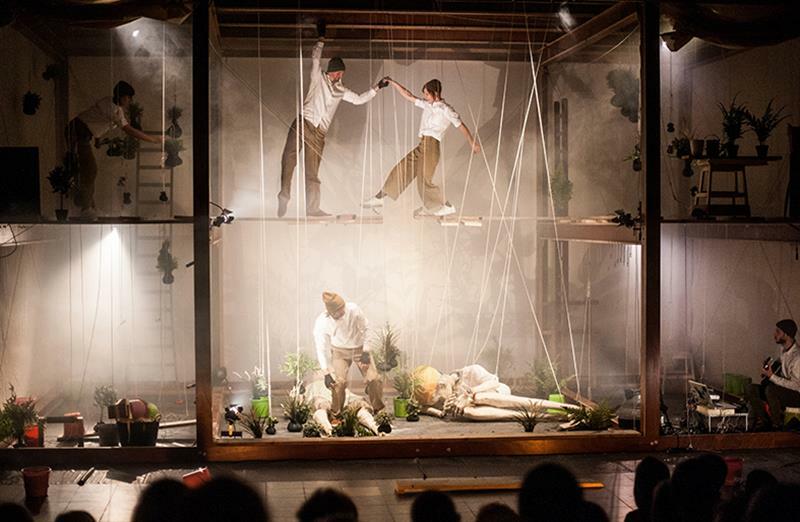 Les Soeurs is an associative and dynamic performance on the boundaries of theatre, music, dance and plastical arts. A refreshing performance with long limbs, surprising transformations, flying blankets and crying buckets. 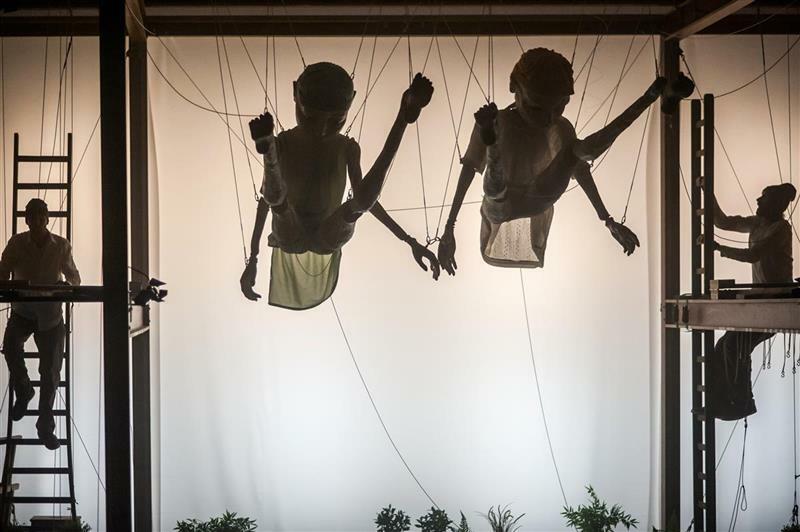 concept Freija Van Esbroeck, Erki De Vries scenography / mechanics Erki De Vries, Anton Boon puppets Freija Van Esbroeck performers Anton Boon, Erki De Vries, Joke Van Canneyt, Kate Olsen, Freija Van Esbroeck music Ruben Nachtergaele light design Thomas Glorieux directing Benjamin Vandewalle, Ruth Mariën dramaturgy Ruth Mariën costumes Johanna Trudzinski, Kristin Vanden Bosch, Manja Van den Eynde production WIThWIT vzw coproduction Dommelhof, P2- CCHA, Theater aan het Vrijthof i.k.v. de interlimburgse subsidies, wp Zimmer, Platform 0090, HETPALEIS, Theater FroeFroe with the support of the Flemish Government and City of Antwerp.